Dr. Roth is honored to be nominated in TWO categories for the Review Journal's "Best in Las Vegas, 2017" Award! Please Vote for us daily until Sept. 12th! 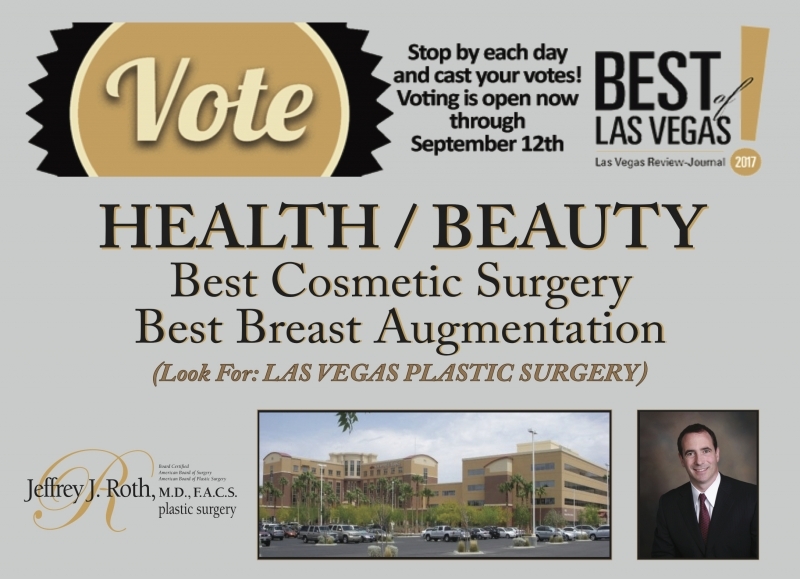 Click the link below, go to the "HEALTH & BEAUTY" Category, then choose: "BEST COSMETIC SURGERY" and select "LAS VEGAS PLASTIC SURGERY". Then again choose the "HEALTH & BEAUTY" Category, then choose "BEST BREAST AUGMENTATION" and select "LAS VEGAS PLASTIC SURGERY".